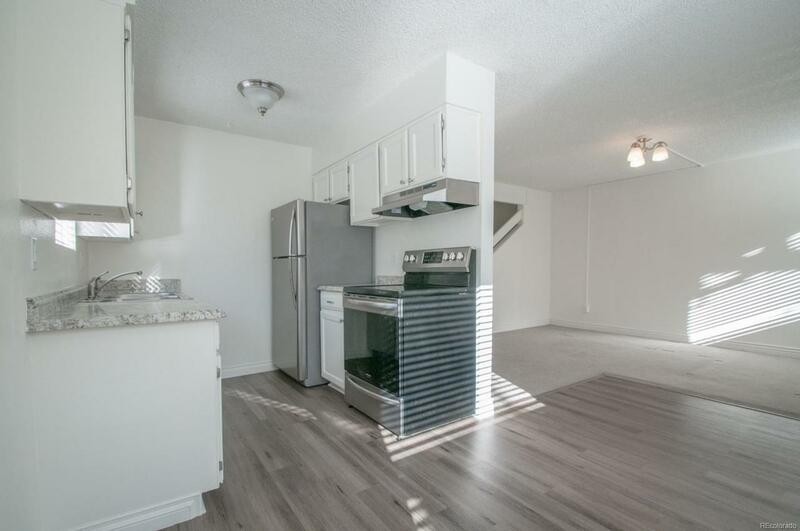 Tastefully remodeled 2 bedroom corner condo with loads of natural light and many upgrades. This is a 2018 complete remodel. Laminate wood flooring, hotel style carpeting, stainless appliances, new countertops and modern lighting. Private, fenced, South-facing patio is featured on front of home. This condo includes a new washer and dryer in the unit as well as central air conditioning. The peaceful community features a swimming pool, mature landscaping and a maintenance free exterior. Minutes from Belmar and within walking distance to shopping and dining. Live in a completely remodeled townhome style condo in a well-maintained community in Lakewood for under $225K! Truly is immaculate and move-in ready!